Between 1898 and 1902, the nun moth ravaged thousands of hectares of the huge Kolmården wild forest, some 200 km south of Stockholm. Premature felling of timber was needed, and thus also a new means of transport. 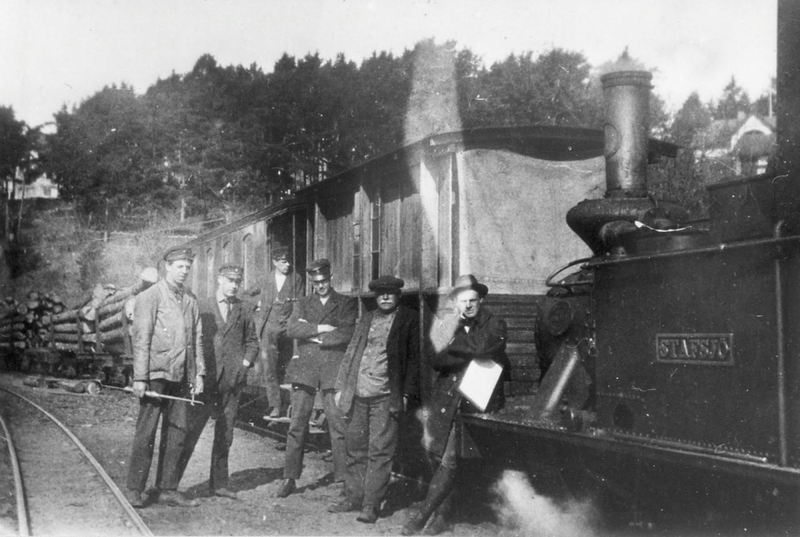 Consul Enhörning, the forest owner, was granted concession for an electric railway to a harbour in nearby Bråviken bay. The 18-km line was built in 1901-04 and log transport began immediately – but only steam engines were used; electrification never came about! The line was operated until 1939. Timber and wood products were the totally dominant freight; passenger traffic was sparse and was discontinued in 1933. Over the years this railway saw a number of steam engines hauling some seventy wagons, most of them timber trucks. It also had three ordinary coaches, two open summer coaches and during the last few years a small railcar. The line had some very steep 3.2 per cent gradients. Frequent on-line loading of logs was practised. Between the wars, a number of small steamships regularly called at Kolmården harbour, en route from the city of Norrköping to the coastal ports.